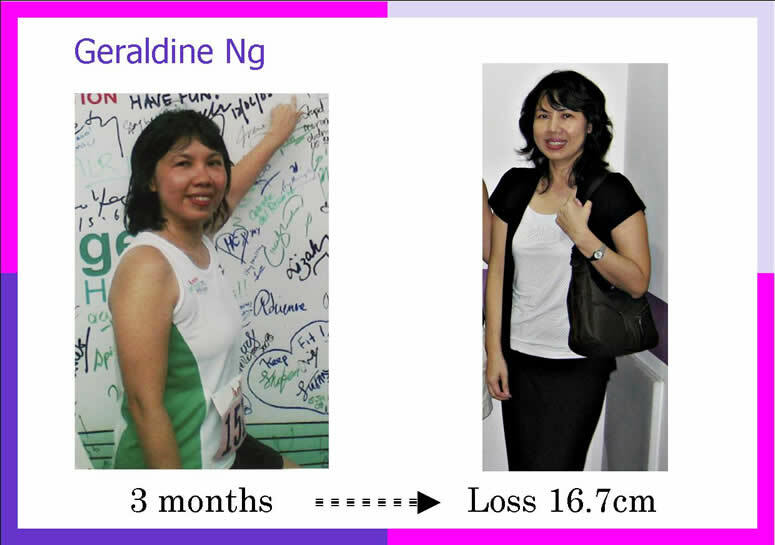 Evelyn, mother of three teenage children, works full-time five days a week and had difficulty finding time to exercise. She gradually put on weight over the years. Besides the dissatisfaction of being unable to fit into her clothes, she also felt her movements were slow and clumsy. Dorothy had been leading a sedentary lifestyle. Like all women, Dorothy was conscious about her flabbiness. She tried dieting on her own but sees minimal result. After recommendation from her friend who is also a Contours Express member, Dorothy made a decision to modify her lifestyle. 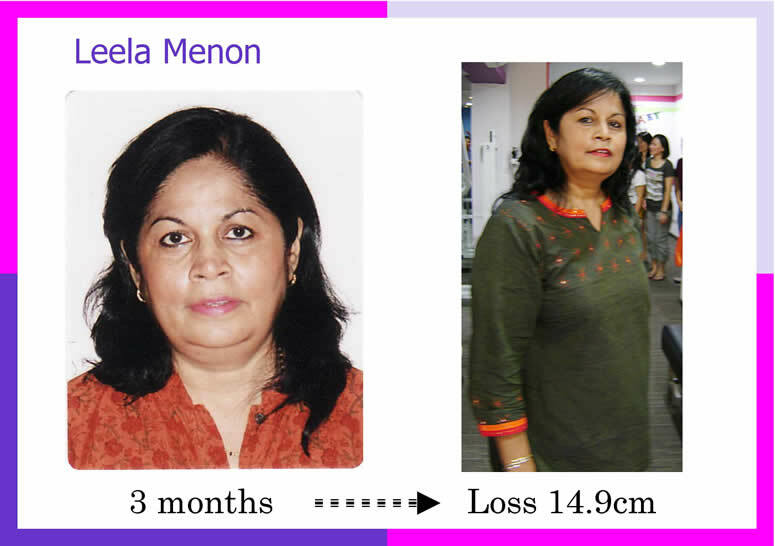 By embarking on an individualized workout routine 3 times a week which is tailored to trim her problem areas and a sensible diet plan following the advice of the fitness trainers, she felt an increase in alertness and energy level. 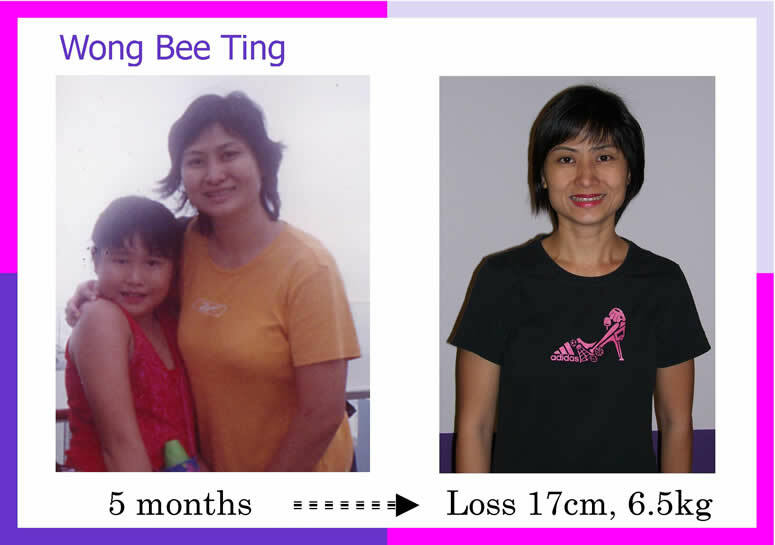 Now, 7months later, she has been able to successfully shed off a total of 29.5cm and melt her body fat percentage to a lower healthier range of 28.4% (from 35.3%).